Private piano lessons are now available at our new studio location on Chapel Street in Windsor (near Chapel & High). Piano teacher Andy Harrison is available for lessons at this convenient location close to Prahran and Windsor Station. Andy Harrison is a classically trained, contemporary pianist based in Melbourne, Australia. He began playing piano at the age of seven, studying curriculum from the Royal Conservatory of Music in Canada. During ten years of training he performed in many recitals & festivals, and completed Grade 9 Piano with First Class Honours. 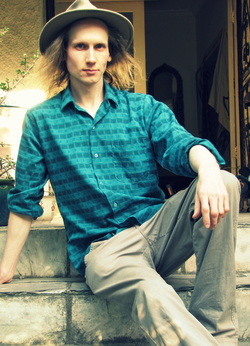 Since 2004 he has been exploring free improvisation and has developed a unique style of intuitive songwriting. Andy is a passionate musician who has also studied trumpet, performed in choirs, and is a regular participant in TaKeTiNa rhythm circles. He enjoys working with students of all ages and abilities, offering a creative and personalised approach to learning piano. Lessons in WIndsor are taught on a Yamaha piano. Andy is also available for piano lessons at his home studio in Elwood. Click here for location & tuition info in Elwood.